There are thousands of jailbreak tweaks out there that make using iOS a tad bit better than how Apple originally intended it to be. Granted, the stock iOS experience can be rather mundane at best for some, but throw in a jailbreak tweak or two into the mix, and you’ll end up with an experience that might just surpass even your own expectations. 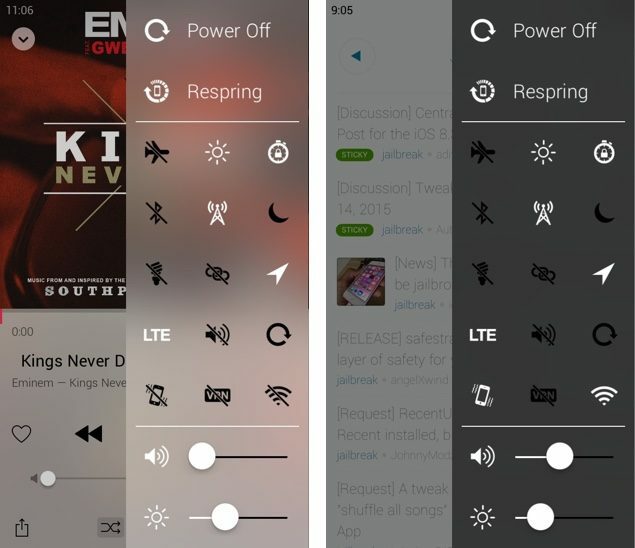 ControlPane for iOS tweak for jailbroken devices aims to do just that – enhance the overall user experience in such a way that makes stock iOS look years behind what it should be capable of by now. Think of Control Center supercharged beyond its capabilities, and that’s what ControlPane actually is. Can be invoked using Activator gestures, ControlPane houses four power settings and fifteen system toggles to choose from – nineteen in total. Apart from that, there are two sliders at the bottom – one for adjusting the system volume, and one for turning the brightness up or down. The four power settings are as follows: Power Off, Respring, Reboot, Safe Mode. It’s pretty obvious from the names what the different settings do here, and the best part about ControlPane is that you can actually replace the stock power down view with it, giving users more control over what they want on their iOS device on the software front. 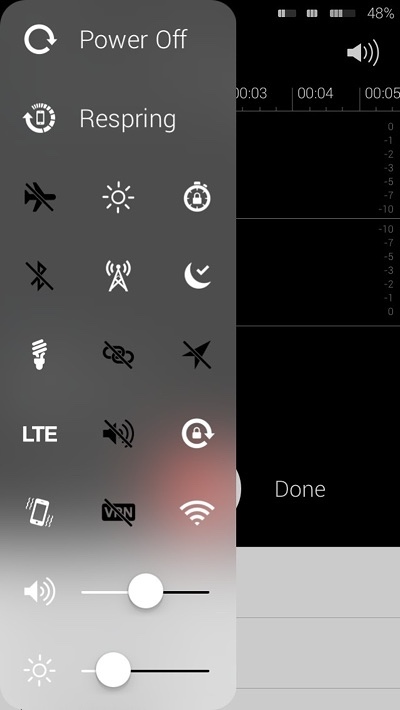 On the system toggles end, you get fifteen different options to choose from, and they are as follows: Airplane Mode, Auto Brightness, Auto Lock, Bluetooth, Cellular Data, Do Not Disturb, Flashlight, Hotspot, Location Services, LTE, Ringer, Rotation Lock, Vibration, VPN and of course WiFi. At this point it should be clear that the developer behind the tweak has went all in when it comes to accessing the most used toggles on an iOS device. The list of toggles here is so extensive and well laid out that we’re pretty certain that the tweak will appeal to almost any user at any given level. 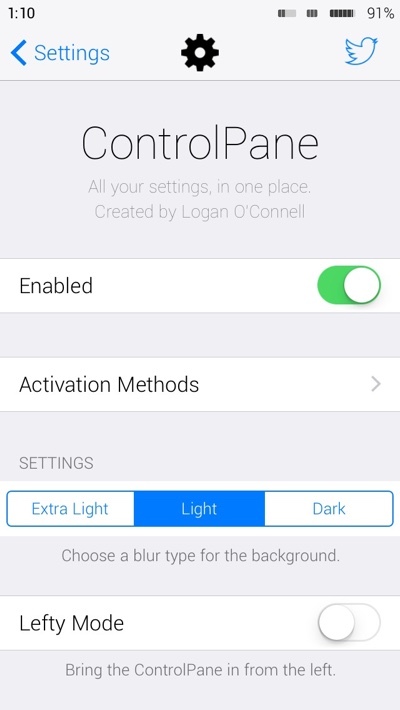 Like many other good jailbreak tweaks, ControlPane lets users customize it from a dedicated panel in the Settings app. You even have the option to turn the tweak on or off from there entirely, which is something that should be a feature in all jailbreak tweaks by now. Users even get the option to change the theme of the tweak itself, and if you’re a lefty, then you can change the orientation of the tweak that suits your need. ControlPane costs only $0.99, which is a bargain for the amount of features that it offers, and you can grab it from the BigBoss repo, which is the default repository in Cydia until or unless you’ve opted to remove it for some reason. The tweak is compatible with an iPhone running iOS 8.x.